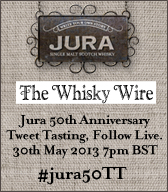 Last Thursday we were thrilled to host a very special Tweet Tasting to coincide with the 50th Anniversary of the Jura Distillery. Not only did it include a once in a lifetime line up of drams but it was also the world’s largest whisky Tweet Tasting to date with 50 tasters taking part from the UK, Europe and Israel. 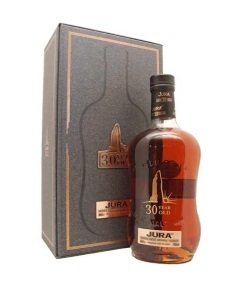 To mark this very special occasion on the night we sampled: Jura Turas Mara, Jura 30yr Camas an Staca, Jura 1977 Jura Juar, Jura The Delme Evans Special Edition (samples drawn from the cask especially for our Tweet Tasting) and Jura 39¾ (which will be bottled as Jura 40yr in 2014). To put the cherry on this very special anniversary cake of a tasting we also managed to trend on Twitter in the UK at number 6. An awesomely amazing achievement, managing to trend higher than Simon Cowell and a handful of other 'Britain’s Got Talent' related trends. @WhiskyDiscovery Dusty, spicy, cloves, candied orange peel, sweetens with vanilla, fruit with rum soaked raisins. @AnneEJones Vanilla, sultanas soaked in rich oloroso. Caramelised orange peel in dark chocolate and a hint of leather. @StratTalking The Turas Mara has a lovely peppery finish, woody but more spiced, or is it herbal? @Macdeffe Faint whiff of sulphur followed by an explosion of fruitiness that reminds me of 60's Bowmore. @STVLauraPiper Wow! 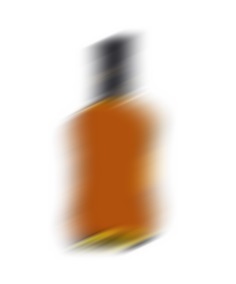 Gorgeous amber gold that tastes like Christmas - burnt orange, scents of cinammon and spiced vanilla. @BeersIveKnown Definitely a whisky that benefits from a drop of water, pear drops, nail salons and carpenters workshops. @robinmckelvie Mr Sheen slowing down and enjoying himself as he polishes a musty shop laden with dried spices & candied fruits. @ScotMaltWhisky Sweet coconut, packed with exotic fruit - kiwi, tangerine and peach, creamy vanilla toffee. @galg Wood varnish, mint, sweet notes of vanilla ice cream, caramel, peach and some ripe papaya & pineapple with crème Catalan. @abbeywhisky Rubber, whiff of smoke, chocolate, raisins, honey and a slight sulphur note. @mynameisgone Delme Evans nose getting a slight rubbery note and salted lemons. @WhiskyDiscovery Oh my! Wonderful Oloroso notes, sweet, woody, spicy, a little earthy too. The slightest hint of fragrant smoke. @ScotMaltWhisky Dusty vanilla, demerara sugar, burnt raisins, orange, crushed almonds, definitely old sherried Dundee cake. @steveprentice I could just sit here and nose the 39¾ all day. Vanilla cola bottles. @FinWycherley Goodness, I just gave the Jura 39¾ a wee cuddle. Very Christmasy, roast chestnuts. 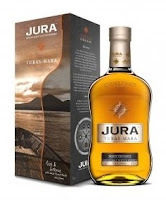 Jura Delme Evans Special Edition and Jura 39¾ are not available to buy, but if you wish to sample Jura Turas Mara for yourself, it’s currently available through Travel Retail. 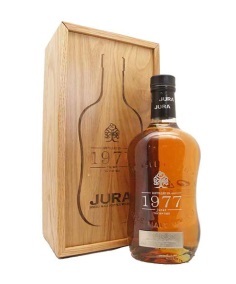 Bottles of Jura 30yr Camas an Staca and Jura 1977 ‘Jura Juar’ are available from specialist retailers including Royal Mile Whiskies and Shop4Whisky. A huge thanks to everyone who took part and followed last week’s tweet tastery. There are plenty more branded and themed Tweet Tastings to come, so if you would like to be one of our tasters, keep your eyes peeled on the website and on our Twitter handles @TheWhiskyWire & @TweetTastings for details.